The UK writer Thomas Clements recently published a book titled The Autistic Buddha. I wanted to find out more about the book, so I contacted Thomas who agreed to be interviewed for Quillette. What follows is a summary of our interview conducted over email. Thanks for agreeing to talk to Quillette. Tell us about The Autistic Buddha, what is the book about? The Autistic Buddha is a memoir detailing the extraordinary inner and outer journeys I have had to undertake in my life in order to make sense of the world as a man on the autism spectrum. Because of my disability, I have struggled throughout most of my life to fit into polite society, and like many autistic people, I’m quite blind to the finer nuances of social interaction which are often so crucial for getting on in the world. Autistic people like me are also characterized by their intense and sometimes excessive level of focus on one particular theme which in my case happened to be the culture of East Asia. This particular obsession was an alternate universe into which I could escape from the grim realities of life as a perpetual outcast. In The Autistic Buddha, I begin as my child self, endlessly captivated by the exotic sights, smells and sounds of Chinatown and progress right through to my troubled university years which culminated in me ending up in a psychiatric ward for 8 weeks with severe depression. After several years floundering and failing to find gainful employment, I eventually relocate to the Far East to work as an English teacher. Sadly modern capitalist China with its high rise buildings and penchant for all things Western failed to live up to my expectations and the romanticised China of my childhood imagination. I return home and again seek refuge in the East, only this time in the form of Buddhist meditation, a practice which proved to be life-changing, providing me with a way for me to accept myself, to relate to the world in a more constructive manner and to live a nobler a life on the spectrum. Fascinating, can you tell us how you became interested in Buddhism specifically? I became interested in Buddhism after reading an article about the French monk Matthieu Ricard, often dubbed ‘the happiest man on Earth’ according to neuroscience. At the time, I’d become quite disillusioned by conventional treatments for depression and was open to alternative ways of reducing my own mental suffering. Buoyed by the compelling science behind meditation, particularly in the way it can, when practiced regularly, precipitate lasting physical changes in the brain, I began studying the various Buddhist traditions, applying the Dharma in my daily life and setting aside 30 minutes a day to sit and cultivate feelings of compassion for others. Within just 10 days people noticed that I was significantly more pro-social in my behaviour and far more at ease in my own skin, to the extent that I began for the first time initiating conversation with strangers. 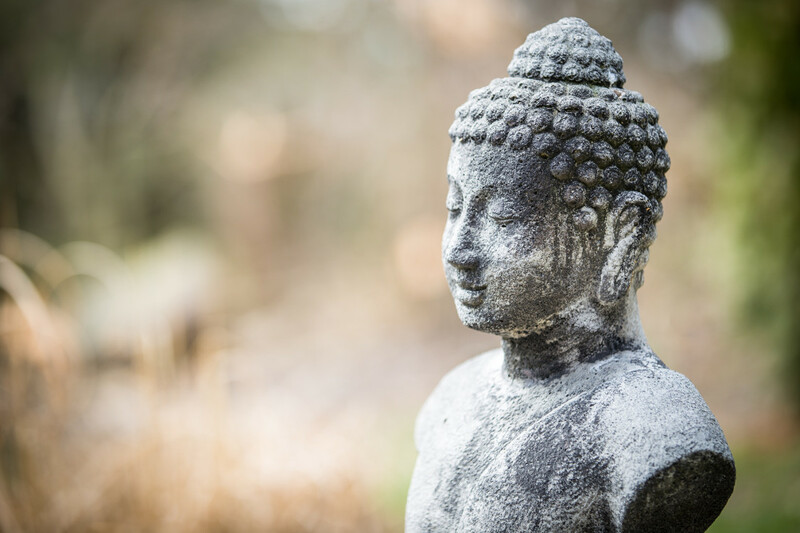 Can you tell us more about how Buddhism and meditation have helped you with your autism? By applying the principles and meditative practices suggested by Buddhism that encourage a letting go of the self, I quickly dissolved much of the naive egocentrism associated with my autism, allowing me to discover a world of social interaction that had hitherto passed me by. The Buddhist path also facilitated in me a change of gears in me that allowed me to come to terms with my many foibles and to live nobly with a disability that had long prevented me from living a balanced and joyful life. Unlike certain other faith traditions, Buddhism has no doctrine and doesn’t seek to fit its practitioners into a mold. Rather, it gives people the courage to lead a compassionate life in a manner distinctive to their unique characters—and this clicks with me as I have Asperger’s Syndrome and certainly have a personality many would consider unique. And has writing helped with your autism? Writing started for me as a form of therapy, a way of articulating the maelstrom of thoughts going on inside my head, and as a means of formulating the disparate events in my life into some kind of coherent narrative. Human beings live in stories and writing is perhaps the best way of enabling a person to review their narrative, digest it properly and then decide on how things ought to move forward. After writing my book, I felt able to put the past behind me and confident enough to begin a new chapter in my life. Writing has also proven a valuable way of communicating the autistic experience to neurotypical people. Since writing about my experiences, I’ve had several people contacting me expressing how my idiosyncratic narrative style provides them a temporary lens through which to see the autistic world. You wrote a piece last year for Quillette about the problems with the “neurodiversity movement”. What is it about Buddhism that attracted you to it that is different to this rights-based movement? The fundamental Buddhist dictum is that “life is suffering” and that the only way of transcending this suffering is to face up to it squarely. Adopting a Buddhist approach to life resides in the voluntary facing up to hard truths and courage really is at the core of the Buddha’s teaching. It’s not a philosophy that teaches you simply how to be ‘nice’. As nice and compassionate as the intentions of neurodiversity are, the views espoused by many of its supporters do not always jibe with the tragic nature of autism. In the spirit of Buddha’s insistence on truth, I often challenge the conventional thinking of the paradigm which, owing to its idealism, often seals itself off from and discredits dissenting viewpoints from members of the autism community, particularly by those that aren’t convinced that the core problems associated with Autism can be remedied entirely by social accommodations. Contrary to neurodiversity, I also claim that there is no Autism community and that autistic people are diverse individuals just like everyone else. The idea that we speak with a single political voice and that voice is represented by neurodiversity activists is simply wrong. Is there one thing that you wish more people knew about people with autism? And what are some ways that neurotypical people can be more considerate of the neurodiverse? One of the most irritating and persistent myths about autistic people is that that they lack creativity. Hans Asperger, the pediatrician after whom the Asperger’s variant of autism was named, refuted that claim, stating that, “it seems that for success in science or art, a dash of autism is essential.” One of the reasons why their creativity isn’t widely showcased is the fact that they lack the confidence and the persuasive skills to market themselves to the world. Consequently, their creativity often goes undiscovered. I happen to know lots of talented autistic people unable to take their talents outside the confines their bedrooms. Thankfully there are organisations that promote the creative endeavours of autistic and neurodiverse individuals. One such group is “The Art of Autism” based in California. Thanks for chatting—how can readers follow your work? Thomas Clements is a 29-year-old writer and shop assistant from the UK with Asperger’s Syndrome. The Autistic Buddha: My Unconventional Path to Enlightenment published by Your Stories Matter is now available to buy on Amazon. Claire Lehmann is the editor of Quillette, if you have a story to share about autism or neurodiversity contact her at claire@quillette.com. I’m not sure what to make of this article. I’m married to an Asperger and have a child with Aspergers. I pity neither of them and a embrace their frankness, honesty and intellect. I’m not sure what this article communicated about Aspergers, other than a few references along the victim mentality lines that I don’t support. Some Aspergers are creative, however, I believe it’s their commitment to focussed research that gives them deep insight, rather than an artistic ability. I have worked with many software engineers who exhibit characteristics that I associate with Aspergers. James Damore is an example of such characteristics that are common in the tech industry where I’ve worked. I note that the Guardian and other sites have attacked James Damore for his Autism. I was quite surprised at how low the Guardian stooped to marginalise an Asperger when they wouldn’t even comment on expert assessment that agreed with James!! It’s good to see Aspergers being discussed openly and honestly at Quillette. It’s far more beneficial when it helps the general public get inside the head of Aspergers/Autistics. Is Rainman true? Should we seek to cure Aspergers? Should Aspergers be given special treatment? What issues affect Aspergers? How do you recognise those issues? If there’s something that appeals to me about people with Aspergers, it’s their raw honesty. If you want loyalty in your friends, people who will stand by you, who will question you honestly without judgement …. Aspergers are often wonderful people to know. They call a spade a spade. I am wondering if most of the people who oppose identity politics are Aspergers. That thought came from a series of posts on reddit where somebody said that Aspergers are immune to political correctness because they are only interested in facts. Aspergers might be immune to the whole “feelings above facts” movement that permeates the mainstream media. That invokes thoughts of a dystopian future where neurotypicals (like me) round up Aspergers for thought crimes and lacking feelings. After reading the Guardian article on James Damore/Aspergers, as well as commentary from feminists in response to the Guardian article (eg. at MarySue.com), Aspergers may well become a subject of widespread ridicule and marginalisation by the mainstream media. I’ve seen a number of feminists attack people with Asperger’s. It’s like, just because more men have it, it’s a form of male privilege. Just like prostate cancer. I don’t subscribe to the victim mentality. If I have no interest in gossip, I think that’s to my credit. An obsession with other people’s lives is what fuels the identity politics movement. Aspies don’t care about what other people get up to so long as they leave us alone. Sometimes literally. The writer clearly accepts responsibility for finding his own place in the world. “Victims” stop being victims when they start looking for ways to re-frame their experience. Recognizing that the world isn’t particularly inclined or able to embrace persons who are too far outside commonly-accepted ideas of “normal” is not the same as being a victim. Autists seems better to understand NEEDS of other people than INTENTIONALITIES. intentionalities =what another person is thinking and what it want to do.